Has this ever happened to you? You’re taking a shower, mindlessly scrubbing away and then—BAM!—you suddenly get struck with creative insight. Maybe you got an idea for a novel. Or maybe you figured out how to best start your blog post. Or maybe you just finally figured out who Jon Snow’s real parents are in Game of Thrones. Whatever the breakthrough, if you had it in the shower then you are not alone. A survey conducted by creativity expert Scott Kaufman examined people from eight countries and found that 72% reported having creative breakthroughs in the shower. Interestingly, that number was higher than those reporting creative breakthroughs at work. So what’s happening here? Why are showers so good for creativity? To understand the “power of the shower,” you first need to recognize where creativity comes from. 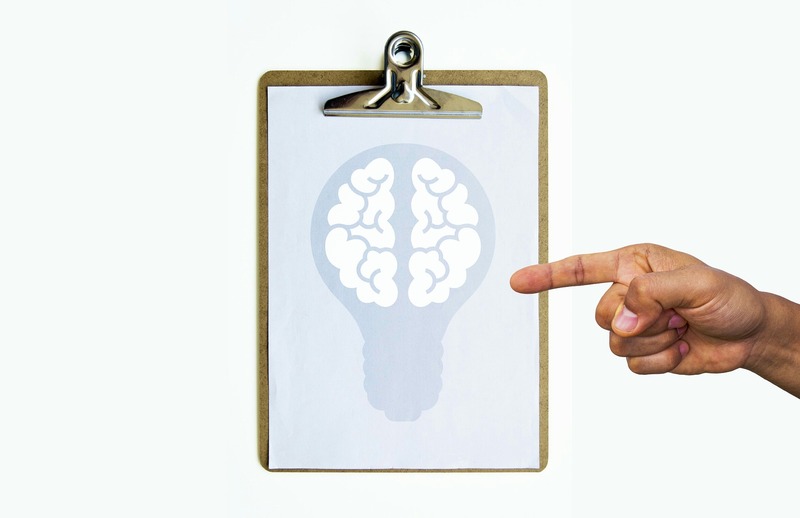 Unlike other cognitive tasks that rely on analytical strategies housed in our conscious mind, creativity and insight come largely from our unconscious mind (to learn more about the role of the unconscious in creativity, see my earlier post). Successful artists know this fact and amass all sorts of simple, easy tricks that allow them to tap into their unconscious well of creativity. For example, in prior posts I’ve discussed how artists ignite their creative muse through sleep, mind wandering, nature, and asking “what if”. 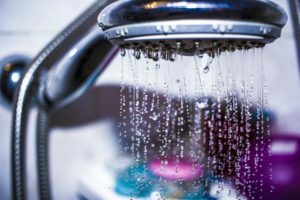 In this post, we’ll discuss why taking a shower may be the easiest (and definitely the cleanest) creativity hack of all. And what’s particularly great about this trick is that you shower every day anyway—but chances are you’re not be doing it the right way. Have you ever ha the answer to some question on the tip of your tongue but couldn’t retrieve it? Maybe you’re trying to remember something you read earlier in the day or maybe you just can’t identify the first movie you saw with Nicolas Cage. The point is, the harder you press your brain to come up with the solution, the more stubbornly resistant it gets. But then you finally give up, switch to another task, and—Aha!—there’s the solution. That “Aha! moment” is called insight and it has been studied by psychologists and neuroscientists for decades. What the research shows is that when it comes to Aha! moments, our brains are a bit like a temperamental dog. The harder you tug at the leash, the more resistant your brain becomes. But loosen the leash and allow your brain to scamper about freely and suddenly the solution will pop into your head. The reason for this has to do with differences between our mind’s conscious and unconscious processes. Most people assume that our brain works hardest when we are consciously concentrating on a task (like the tip of the tongue example), but that’s not true. In these situations, your brain’s command center (the prefrontal cortex) is focusing all its resources on a single task, but it has to shut down other areas and ideas to do so. Concentration makes our brains censor themselves, and as a result, most of the new and creative solutions are tossed away before we even realize we had them. But when we relax, our command center relaxes too, and our brain enters its unconscious mode, what psychologists call the “default network.” When the default network comes online, it opens up pathways in the brain that allow for new connections to form. It is in these connections that creative genius is born. Gutenberg combined the screw press (used to press fruits in his day) with paper printing. Einstein uniquely combined energy, mass, and the speed of light in his famous equation, E=mc2. Steve Jobs, who intuitively stated, “creativity is just connecting things,” combined technology with artistic aesthetic. But here’s the rub, the default network is a shy creature. It only comes out to play when there are few distractions or noises to scare it off. As a result, it is very hard to just force yourself to be creative. You can’t just tug at the leash and expect your creative mind to come running. Instead, you need to coax it out of its den by dialing down anything that would activate the brain’s command center and scare off your default network. We all know a shower soothes our sore muscles and relaxes our weary body, but it relaxes our mind as well. As mentioned above, when we relax, our default network becomes active and when it does, it acts like an airport hub, connecting random thoughts and forgotten memories together to create unique ideas. When we relax, we also produce more alpha waves in our brains. Alpha waves occur whenever we meditate or daydream and they often serve as a key to unlocking deeper states of consciousness and creativity. The opposite happens when we are not relaxed and over-worked. Our brain dulls and our creativity recedes into the background. To be creative, we have to forge a close, intimate bond with ourselves. And as anyone in a relationship knows, it’s hard to juggle multiple relationships at once. That is why solitude is so important to the creative process. By being alone, we are able to turn our attention inward and reacquaint ourselves with our own mind. Artists have long recognized the power of solitude. In fact, it is so common that the image of the “reclusive artist” has become a stereotype. You can see this reclusive behavior in famous musicians (Michael Jackson, Syd Barrett, Sly Stone), film directors (Howard Hughes, Stanley Kubrick, Terrence Malick), and writers (Edgar Allen Poe, Emily Dickinson, Henry David Thoreau, J. D. Salinger, William Faulkner, Thomas Pynchon, Marcel Proust, Cormac McCarthy, Harper Lee). Solitude is often seen as a negative behavior but it helps artists forge “constructive internal reflection,” a vital component in any creative endeavor. Artists have long valued solitude but it has taken science a bit longer to warm up to the idea. Most psychological studies focus on the negative aspect of solitude: loneliness. But these are not one and the same. Most notably is the fact that solitude is chosen whereas loneliness is imposed on us. And this is not to say that the presence of others doesn’t facilitate the creative process. Collaboration is a key element to many artists’ and scientists’ creative success. But such collaboration is usually effective during the idea refinement phase, not the initial idea generation phase. Albert Einstein once said, “Creativity is the residue of time wasted.” Assuming Einstein is right (and he usually is), this means that we actually have to “waste time” if we want to be more creative. But when was the last time you wasted time? When was the last time you felt bored? When I was a kid, I remember being bored A LOT. The Saturday morning cartoons would stop around 9am and I was bored. Sitting around in the dentist’s waiting room and I was bored. Seated in class, staring out the window and I was bored. But I can’t tell you the last time I felt truly bored. Can you? The invention of the smartphone has nearly eradicated boredom from our lives, but doing so may have thrown the baby out with the bathwater. Because the truth is, we could all use a little more boredom in our lives nowadays. When taking a shower, our biggest task is soaping our body and shampooing our hair. It is probably the most boring ten minutes we spend each day, and yet…we all look forward to a nice, long shower. One reason why boredom is beneficial is because it’s just another way for our brain to relax. But boredom also accomplishes another important task: it allows our ideas to incubate. Multiples studies have shown that the quality of an idea or solution increases if you allow it to incubate—which means occupying your mind with another task while mulling over the problem. Switching your brain from the problem to another mindless task distracts your conscious brain, allowing your unconscious brain to generate creative solutions. For instance, one study had people invent new names for pasta shapes. After assigning this task, some participants immediately generated answers, whereas others worked on a boring task for three minutes (i.e., tracking a circle on the computer with their mouse) before generating their answers. The results showed that those who were given an incubation period (i.e., those who worked on the boring task first) produced more creative responses than those without the incubation period. In this day and age, it is nearly impossible to find a place free of distraction. Our smartphones are constantly beeping and alerting us to emails and texts and tweets and Facebook updates, not to mention their million apps that taunt us to crush candies or hunt Pokemon. And even if we shut down our phones, there’s streaming TV, 24-hour news feeds, traffic, drones buzzing overhead, and…well, you get the point. It’s all too much for our archaic brains to handle. That’s why a shower is so beneficial. For ten minutes each day, your brain gets a break from all those distractions. No phones. No television. No other people demanding your attention. When we turn the faucet on, nearly all sound is blocked out. And when our skin gets wet and pruney, it dulls our sense of touch. Truth is, taking a shower is the closest thing we get to being in one of those big, expensive sensory deprivation chambers (which have been shown to boost creativity). Why is sensory deprivation so important? Our brains know that the more sensory information it receives, the more it has to attend to it and the less it can attend to being creative. Shutting down sensory input allows our brains to turn away from the outside world and focus their attention inward. It gives our brains free reign to roam our internal landscape and think about whatever it wants. Sensory deprivation is so important that your brain actually shuts down sensory input when it is trying to be creative. One really cool brain scan study found that just before people have an Aha! moment of creative insight, the activity in their visual cortex drops off temporarily. Essentially, the mind is closing its eyes to avoid distractions so it can generate more creative solutions. This tells us that anything you can do to make it easier for your brain to shut out distractions will greatly improve your creative thinking. Shielding yourself from distraction is especially important for people naturally high in creativity. This is because creative brains are spongy brains (or what researchers call “leaky sensory gating”). Creative brains soak up everything around them. This is a good thing, because it leads to more creative innovations and connections, but it’s a double-edged sword because it means creative people can easily sidetracked. That’s why sensory depriving environments (like a shower) are especially helpful in getting creative people to focus. For this reason, writers, innovators and scientists alike have all relied on the shower to get their creative juices flowing. Most famous is the story of Archimedes, a Greek mathematician who discovered he could use volume displacement to measure gold when he noticed how the water level rose when he got into his bath. But there are lots of other examples. In 1990, NASA engineer Jim Crocker realized how to fix the distorted lenses of the Hubble telescope when he noticed the European-style showerhead mounting while showering in his hotel room. One important thing to keep in mind. Creativity is like a living thing that grows and thrives in the space between our external and internal worlds. But just like any living thing, you have to cultivate this growth. When apple farmers want to produce the best fruit, they prune back new shoots (sometimes called “suckers”) that compete with the more fruit-bearing branches for light and water. They essentially create a space for the fruit to grow into. Creativity is the same way. You can’t just expect it to be there when you need it. You need to cultivate it. You need to prune back external distractions and create a space for it to grow into. You can do this in a lot of ways, including meditation, daydreaming, and walking in nature, but the problem is that in this day and age of go-go-go, such things are seen as a luxury and so we are less likely to do them. Showering, on the other hand, is a necessity. No matter how busy you are, you still have to set aside a few minutes each day to shower. So for people who are just beginning to cultivate their creative roots, the shower is a great starting place. 1. Shower alone. This means not only keeping your significant other out of the shower stall itself but also the entire bathroom. No showering while your husband is shaving or your wife is blow-drying her hair. Remember, isolation is key to developing creative ideas. 2. Keep all distractions out of the bathroom while you shower—this includes your phone, playing music, listening to the news, a television, ANYTHING! 3. Do some prep work—think about your problem or do a bit of research on it just before you take a shower, then allow your conscious mind to relax while you bathe. That way, your shower time allows your creative thoughts to enter the all-important incubation period. 4. Shower in the morning or evening, when your brain’s command center is groggy and your unconscious brain is free to roam. Research shows that creativity peaks when your mind is the least alert. 5. Have a way to record your brilliant ideas in the shower. You could keep a notebook just outside the shower, but this can get messy, so here are two better solutions. One option is to buy a set of “bathtub markers” (Crayola makes some) or dry erase markers (if you have tile) to scribble your creative ideas on the shower stall. If you prefer a more organized approach, get a waterproof notepad like the one made by AquaNotes. So next time you are having a creative block, take a shower and try out these tips. Not only will your body feel fresh afterwards, but your mind will too!